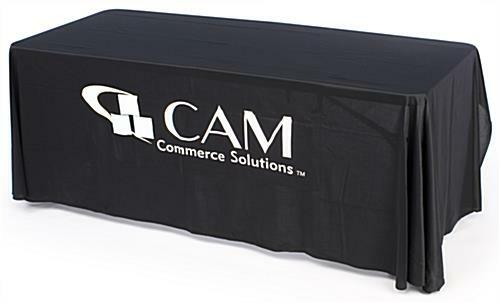 These custom printed table throws are made of black polyester and include 1-color printing for company logos and other artwork. 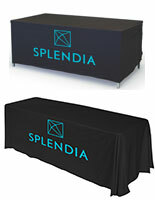 Great for trade shows, these linens can advertise a brand or other messaging to groups of passersby. 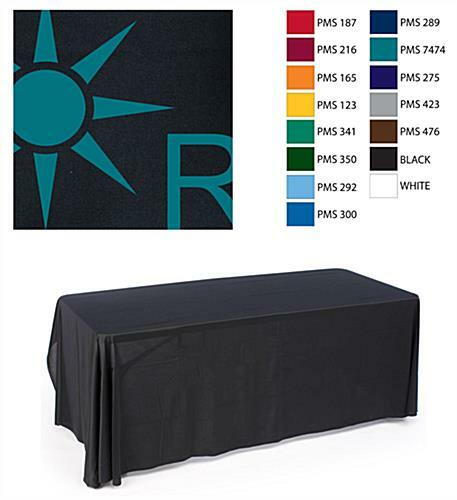 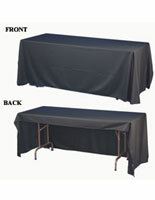 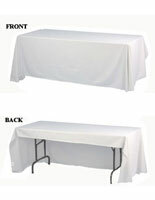 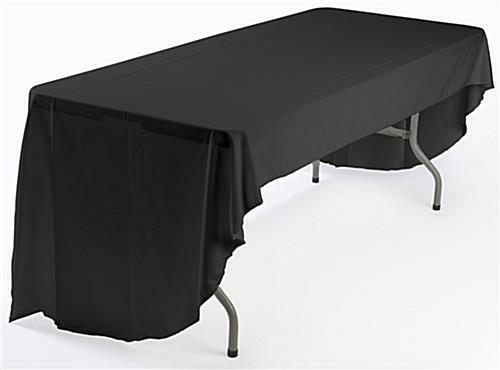 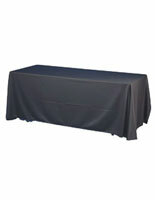 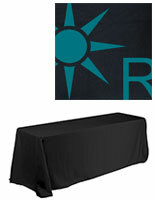 Each printed table throw measures 6' wide and features 3 full length sides with a shorter rear for accommodating seating. 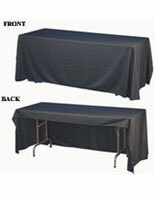 The black covers' polyester material is made for travel and is both machine washable and flame retardant. 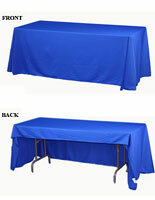 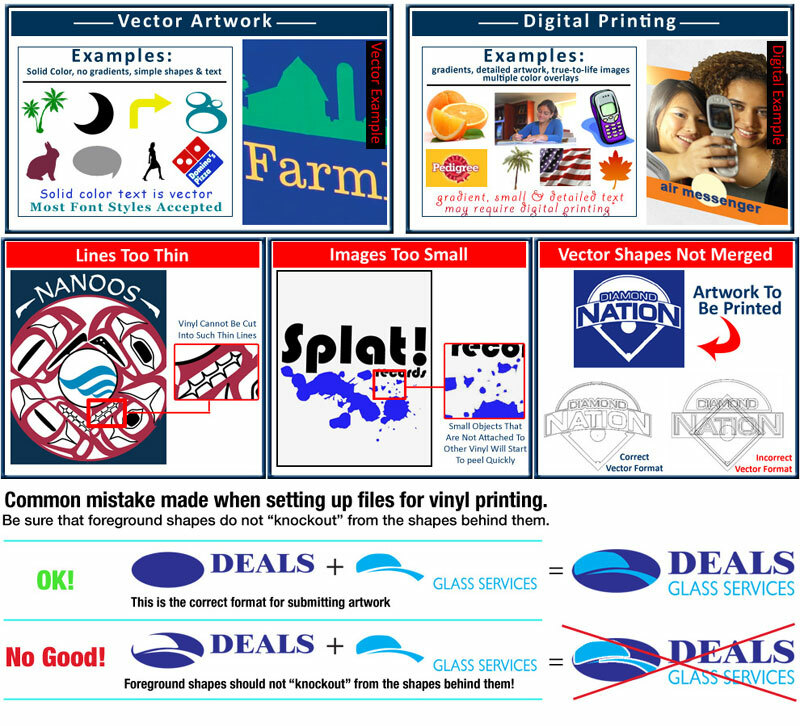 The table throws for personalized artwork are also available in blue, red, white and with other imprinting options. 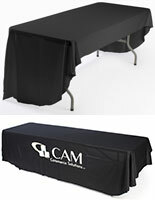 The trade show linens are a great choice for any event, like banquets and expositions.